Dennis F. O'Connor was born on 26 September 1900 at Woburn, Middlesex, MA. He married Frances M. Sterner, daughter of William P. Sterner and Mary E. "Mayme" Keating, on 9 September 1930. Dennis F. O'Connor died on 9 March 1977 at Winthrop, Suffolk, MA, at age 76. Frank William Sterner was born on 9 June 1905 at Rochester, Strafford, NH. He married Louise Foley. Frank William Sterner died in August 1983 at Littleton, Middlesex, MA, at age 78. Edmund James Hartigan was born in December 1876 at Rochester, Strafford, NH. He married Hanora Augusta "Nora" Keating, daughter of Patrick Keating and Ellen "Nellie" O'Brien, on 11 January 1905 at St. Mary's Church, Rochester, Strafford, NH. Edmund James Hartigan died on 4 July 1954 at age 77. He was buried on 7 July 1954 at St. Mary's Cemetery, Rochester, Strafford, NH. John Louis Hartigan M.D. was born on 12 April 1911. He was baptized on 16 April 1911 at Rochester, Strafford, NH. He married Winifred E. Berry, daughter of William M. Berry and Mary A. Ball, on 20 February 1939 at Somersworth, Strafford, NH. John Louis Hartigan M.D. died on 21 October 1972 at Rochester, Strafford, NH, at age 61. He was buried at St. Mary's Cemetery, Rochester, Strafford, NH. Winifred E. Berry was born on 4 July 1914. She married John Louis Hartigan M.D., son of Edmund James Hartigan and Hanora Augusta "Nora" Keating, on 20 February 1939 at Somersworth, Strafford, NH. Winifred E. Berry died on 22 August 1981 at Rochester, Strafford, NH, at age 67. She was buried at St. Mary's Cemetery, Rochester, Strafford, NH. John Louis Hartigan was born on 11 September 1939. He died on 21 August 1965 at Rochester, Strafford, NH, at age 25. He was buried at St. Mary's Cemetery, Rochester, Strafford, NH. Peter E. Hartigan was born in 1940. He died in 1989. He was buried at St. Mary's Cemetery, Rochester, Strafford, NH. Edith H. ( ) Woods married Clifford Woods. Edith H. ( ) Woods married James Francis "Fran" O'Malley, son of Michael O'Malley and Julia Gertrude Keating, circa 1984. Edith H. ( ) Woods died on 29 April 1994 at Falmouth, ME or FL. She was buried circa 1 May 1994 at Holy Trinity Cemetery, Somersworth, Strafford, NH. Clifford Woods married Edith H. ( ) Woods. James Lavin was born on 23 September 1891 at Fauleens, Kerrycastle, Mayo, Ireland. He married Anne Leonard, daughter of James Leonard and Catherine Cuniffe, on 23 April 1918 at Philadelphia, Delaware, PA.
Anne Leonard was born on 24 August 1897 at Ballinacaoughs, Ballyhaunis, Mayo, Ireland. She married James Lavin, son of John Lavin and Annie Caulfield, on 23 April 1918 at Philadelphia, Delaware, PA.
Catherine Lavin was born on 23 September 1921 at Camden, Camden, NJ. She married John Cunnane at Ireland. 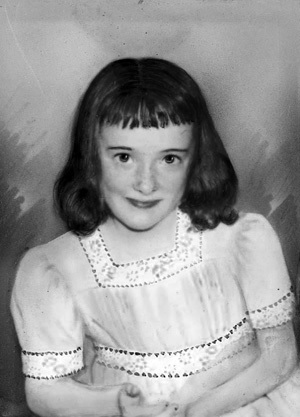 Catherine Lavin died on 12 December 2001 at Carrowkeel, Mayo, Ireland, at age 80. Michael Lavin was born on 25 November 1931 at Cashels, Aghamore, Mayo, Ireland. He died on 4 August 1948 at England at age 16. Tom Lavin was born in October 1935 at Cashels, Aghamore, Mayo, Ireland. He died on 9 May 2005 at Long Island, NY, at age 69. Patrick Daly was born on 26 March 1902 at New Quay, Burren, Clare, Ireland. He married Helena "Ellie" Walle, daughter of Michael Walle and Bridget Keane, before 1933. Patrick Daly died on 4 April 1977 at New Quay, Burren, Clare, Ireland, at age 75. He was buried after 4 April 1977 at Kileen, Burren, Clare, Ireland. Helena "Ellie" Walle was born on 19 April 1902 at Finnavara, Burren, Clare, Ireland. She married Patrick Daly, son of Michael Daly and Mary Linnane, before 1933. Helena "Ellie" Walle died on 2 February 1987 at New Quay, Burren, Clare, Ireland, at age 84. She was buried after 2 February 1987 at Kileen, Burren, Clare, Ireland. Oliver Daly was born May, 1975 at Ennis, Clare, Ireland. He died on 2 June 2000. He was buried after 2 June 2000 at Kileen, Burren, Clare, Ireland. John Kinley Tener Lowry was born on 21 December 1932 at Pittsburgh, Allegheny, PA. He died on 21 October 2004 at Ft. Lauderdale, Broward, FL, at age 71. David Michael Page was born on 19 December 1948 at Richmond, Henrico, VA. He died on 20 October 1985 at New York, NY, at age 36. Francis Joseph "Fritz" Wilson Jr.
Francis Joseph "Fritz" Wilson Jr. was born on 17 November 1941 at Pittsburgh, Allegheny, PA. He died on 11 July 2002 at St. Louis area, MO, at age 60. T(homas) Page Wilson was born on 25 July 1948 at Pittsburgh, Allegheny, PA. He died on 2 March 2012 at Columbus, Franklin, OH, at age 63. Genevieve "Jean" Clare Boslett was born on 12 August 1917 at Turtle Creek, Allegheny, PA. She married Herman Scott Sheedy, son of Patrick Francis Sheedy and Estelle (or Stella) Frances Brennan, on 28 November 1940 at Pittsburgh, Allegheny, PA. (an unknown value). Genevieve "Jean" Clare Boslett died on 24 April 2013 at McCandless Township, PA, at age 95. She was buried after 24 April 2013 at St. Mary's Cemetery, Pittsburgh, Allegheny, PA.
Jean Clare Sheedy was born on 9 November 1944 at Pittsburgh, Allegheny, PA. She died on 13 December 1951 at Lakewood, Cuyahoga, OH, at age 7. She was buried after 13 December 1951 at St. Mary's Cemetery, Lawrenceville, Pittsburgh, Allegheny, PA.
Patricia Anne Sheedy was born on 12 October 1955 at Lakewood, Cuyahoga, OH. 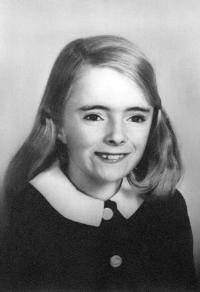 She died on 7 August 1968 at Pittsburgh, Allegheny, PA, at age 12. She was buried circa 10 August 1968 at St. Mary's Cemetery, Lawrenceville, Pittsburgh, Allegheny, PA.
John Clare Sheedy Jr. was born on 28 August 1934 at Pittsburgh, Allegheny, PA. He died on 15 March 1998 at Pittsburgh, Allegheny, PA, at age 63. John Hartigan was born in June 1852 at Milton, Strafford, NH. He married Bridget ( ) Hartigan. John Hartigan was CENSUS 1900 in 1900. He died. Bridget ( ) Hartigan was born in February 1849 at Cork, Cork, Ireland. She married John Hartigan. John L. Hartigan was born in January 1880 at NH. He married Lena Burke on 17 September 1914 at St. Mary's Church, Rochester, Strafford, NH. John L. Hartigan died on 12 February 1963 at Rochester, Strafford, NH, at age 83. He was buried on 15 February 1963 at Rochester, Strafford, NH. Ella M. Hartigan was born on 23 February 1886 at Rochester, Strafford, NH. Mary Hartigan was born in February 1886 at MA.